An Android-based Microsoft Teams phone, with optima HD voice and a 7-inch capacitive adjustable touch screen, boosts productivity thanks to its superior performance and consistent Teams-tailored experience. By offering great flexibility, it’s ideal for C-level executives as well as knowledge workforces and executive rooms. The T58A combines professional hardware and software technology to deliver crystal clear voice communications. 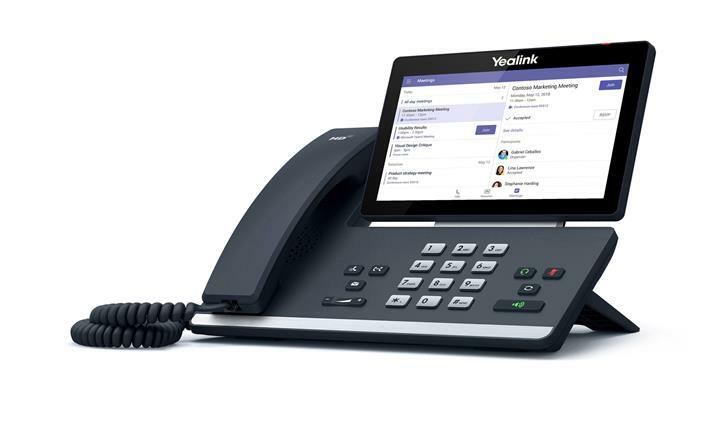 Thanks to Yealink Optima HD voice, SILK audio codec, and Noise Proof Technology, as well as hardware of a full-duplex hands-free speakerphone with AEC, and HAC handset, the T58A allows the user to concentrate on the content of a call. To extend workflows seamlessly to the desktop device, the T58A offers a 7-inch 1024x600 capacitive adjustable touch screen, and a Teams-tailored interface, in addition to supporting the key calling functionality. Furthermore, it provides greater flexibility when it comes to cable management and allows the user to walk from the desk and continue talking from a short distance, suiting a wide range of needs. 1 Year limited hardware manufacturer warranty.